As we have reported earlier , Simbu will be playing a role of an IT guy in director Pandiraj’s ‘Idhu Namma Aalu’. In this part he meets Andrea and the two share a romantic relationship. INA (short for ‘Idhu Namma Aalu’) had been shooting in full swing until recently, when they took a break before the last schedule. This schedule involved one more heroine, and the director has finalized on Andrea to play the flashback portion which will be the last talkie portion to be shot for the film. After her cameo as STR’s love interest in ‘Inga Enna Solludhu’, Andrea will share the screen with the actor once again, only that her role would last longer in this film. 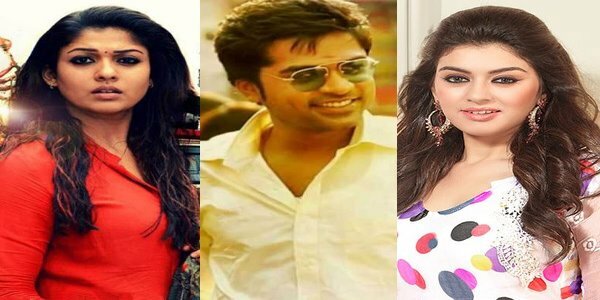 It was earlier buzzed that Taapsee would do this role, but with Andrea is confirmed now, the Simbu-Nayan starters last leg of shooting is in full swing. Amara Kaaviyam reminds Nayanthara’s love life?